The Thriver Mini falls into an entirely different category of driving club. It is a special shallow faced control club to be hit off a short tee. Plus it can also be used by Advanced players as a long fairway club to reach a par 5 in two shots. The head size is features a superlite all-titanium crown which is accomplished through a CNC milling process to remove excessive reduce weight which is then re-positioned strategically within the head for optimal performance. The thinner face produces a high-rebound surface for maximum distance while the higher loft (13°) reduces slice or hook spin. The shorter club length adds solidness of contact while the heavier weight head maximizes MOI and increases momentum into the ball. 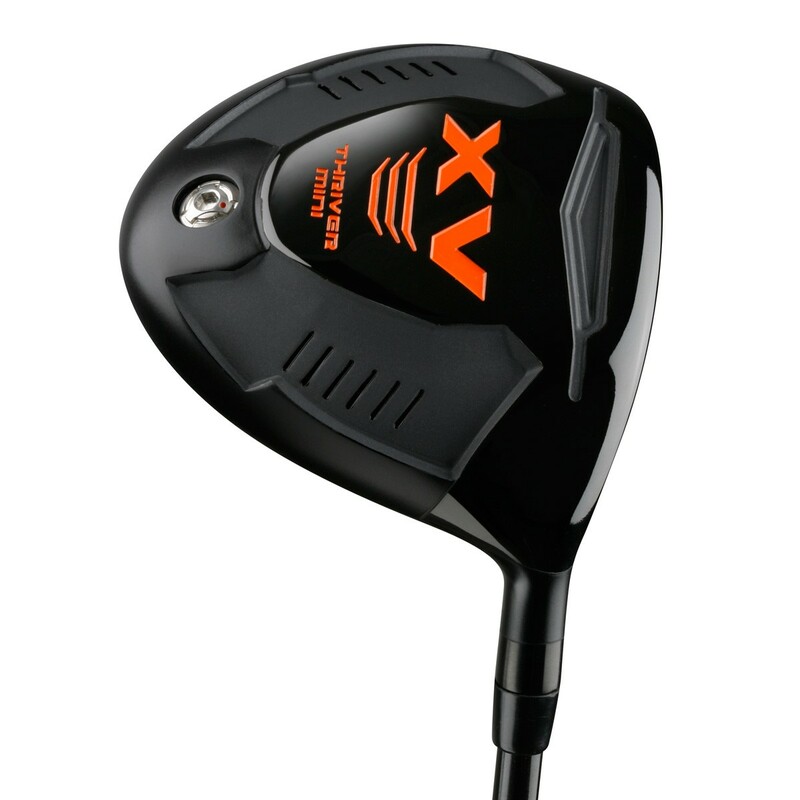 It has the same explosive thin face as a modern 460 cc driver which produces incredible distance off the tee. The smaller volume head size makes for a much higher concentration of weight to be placed on the sole allowing it to be hit from the fairway and get the ball airborne. A Power Chamber Sole Slot is located directly behind the club face that improves energy transfer with faster ball speed, especially on shots struck low on the face. A Gravity Weight Port that is utilized for fine-tuning swingweight. It can also allow us to build the club with a shorter shaft length for more control and accuracy or with a longer shaft length for more distance.